Millions of people around the country will honor our nation’s veterans with ceremonies to commemorate Veterans Day on Saturday, Nov. 11. For more than 240 years, men and women in uniform have been called to serve our country by protecting our freedom and defending our democracy. Throughout the Veterans Day weekend, please take time to remember and thank the thousands of men and women who have served our country in the U.S. Armed Forces and who continue to make a positive difference in our communities. 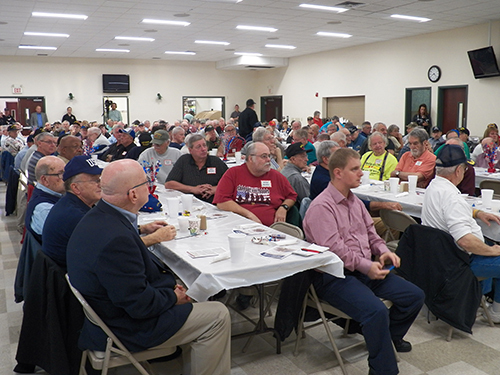 I had the opportunity to thank our veterans personally at my first Veterans Breakfast event last week. It was a great honor to meet so many of our local vets. To view more photos from our event, click here. From the bottom of my heart, thank you to all of our veterans and active duty service members! A bad windstorm came through the Indiantown Gap National Cemetery last week and downed several trees and destroyed about more than 100 flag poles and flags from the Avenue of Flags. As a result, the cemetery will be in need of donated casket flags prior to the Flags Up event next spring. If you have a casket flag you would like flown at the National Cemetery in honor of a veteran, you may drop it off at my Hershey office along with information about the deceased veteran. My office is located 250 W. Chocolate Ave., Hershey. We also accept worn, defaced or torn flags at my office for proper retirement. In giving hope to individuals facing terminal illnesses, legislation was recently signed into law that allows eligible patients to use investigational drugs, biological products and devices not yet approved by the U.S. Food and Drug Administration (FDA). Under Act 22, manufacturers may make these products available to eligible patients once the products successfully complete the first phase of clinical trials. Physicians would not be held liable for recommending experimental products to their terminally ill patients, nor would the law create a private cause of action against the manufacturers that make the drugs. While the legislation does not require insurers to cover these products, they may do so at their own discretion. “Right to Try” laws are in effect in 37 other states. Residents who are struggling with their home heating bills can now apply for assistance from the Low-Income Home Energy Assistance Program (LIHEAP). LIHEAP is a federally funded program that helps individuals and families pay their heating bills through home heating energy assistance grants. It also provides crisis grants to help in the event of an emergency or if a resident is in danger of losing his or her heat due to broken equipment, lack of fuel or termination of utility service. The income eligibility guidelines for LIHEAP are set at 150 percent of the federal poverty income level. For example, the income limit for an individual is $18,090; for a couple, the limit is $24,360; and for a family of four, it is $36,900. Residents may apply for LIHEAP online, by contacting the Dauphin County Assistance Office at 717-265-8919, or by contacting my Hershey office at 717-534-1323. Last week, the Consumer Product Safety Commission recalled two styles of Kidde fire extinguishers: plastic handle fire extinguishers and push-button Pindicator fire extinguishers. The recall involves 134 models of Kidde fire extinguishers manufactured between Jan. 1, 1973, and Aug. 15, 2017, including models that were previously recalled in March 2009 and February 2015. Consumers should contact Kidde to request a replacement fire extinguisher and for instructions on returning the recalled unit, as it may not work properly in a fire emergency. For more information, click here. Pennsylvania travelers now have expanded opportunities for filling their vehicles with renewable fuels thanks to a federal grant from the U.S. Department of Agriculture. 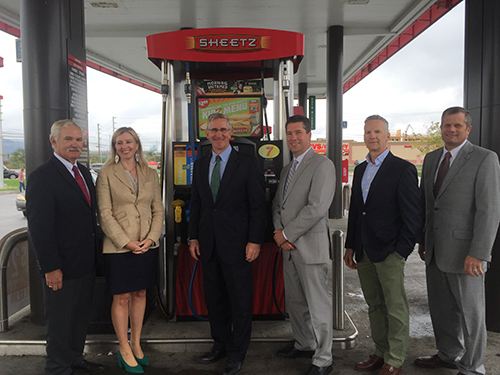 The $7 million grant allowed Sheetz Corporation to expand ethanol availability to 340 more fuel pumps at 77 store locations across the state. I participated in a press event with Pennsylvania Department of Agriculture Secretary Russell Redding and Delaware Department of Agriculture Secretary Mike Scuse, as well as representatives from Sheetz, the USDA, Growth Energy and Pennsylvania Grain Processing at Sheetz in Lower Swatara Township to highlight the new infrastructure. Last month, I had the opportunity to address the Derry Township Board of Supervisors about things going on locally, including the issues residents are most passionate about. We talked about the need for more local infrastructure updates with all the growth happening in the township. 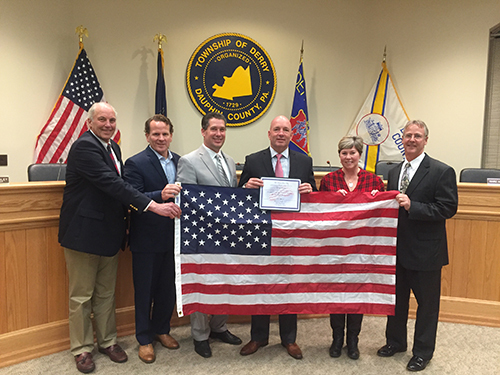 Afterward, I presented the township with a U.S. flag flown over the State Capitol. It’s always nice to come to these meetings and hear from the residents and supervisors. It helps me understand how I can help out at the state level. October was a big month for wedding anniversaries! I delivered House of Representatives citations to two happy couples celebrating big milestones and we took selfies to mark the occasion. 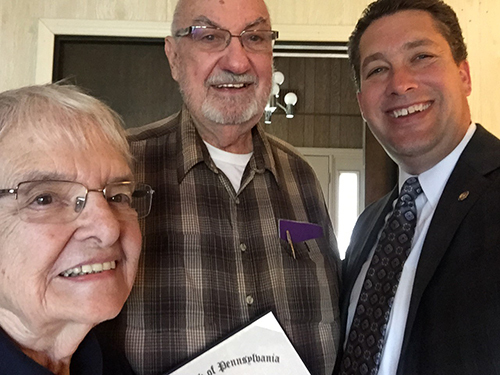 On the left are Robert and Georgiana Sibert, from Derry Township, who are celebrating their 60th wedding anniversary. 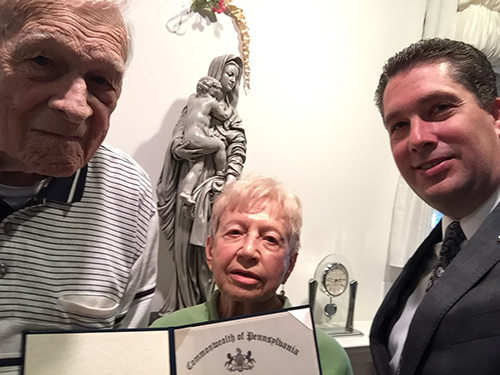 On the right are Stan and Marie Stewart, also from Derry Township, who are celebrating 70 years of marriage! I enjoyed hearing both couples’ secrets to long and happy marriages. Happy anniversary and best wishes for many more happy years to come!